How may progressive political theorists advance the Enlightenment after Darwin shifted the conversation about human nature in the 19th century, the Holocaust displayed barbarity at the historical center of the Enlightenment, and 9/11 showed the need to modify the ideals and strategies of the Enlightenment? Kantian Courage considers how several figures in contemporary political theory-including John Rawls, Gilles Deleuze, and Tariq Ramadan-do just this as they continue Immanuel Kant's legacy. 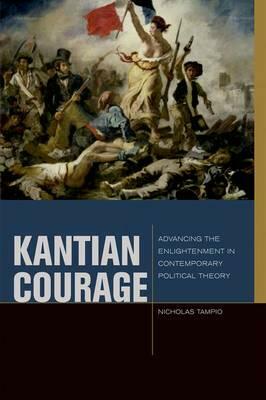 Rather than advocate specific Kantian ideas, the book contends that political progressives should embody Kantian courage-a critical and creative disposition to invent new political theories to address the problems of the age. It illuminates Kant's legacy in contemporary intellectual debates; constructs a dialogue among Anglo-American, Continental, and Islamic political theorists; and shows how progressives may forge alliances across political and religious differences by inventing concepts such as the overlapping consensus, the rhizome, and the space of testimony. The book will interest students of the Enlightenment, contemporary political theorists and philosophers, and a general audience concerned about the future of the relationship between Islam and the West.